Maybe you’re tired of the same old options on the menu, or you’re unsure about what to order but want to discover something you’ve never tried before. If you’re looking for something new, fresh, and original then this will work wonders for you: ask for omakase. So, what exactly is omakase? 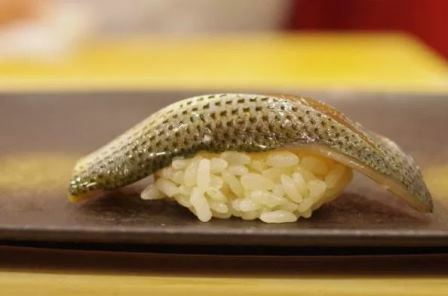 Omakase, loosely translated into Japanese as “I will leave it to you,” is the equivalent of saying, “Surprise me.” This is the magic word that gives the chef free rein to express their creativity with the most delicious ingredients at their disposal; to make something off-menu that is uniquely yours. Unlike the dishes on the menu, omakase is a fleeting experience that will never again be replicated, so slow down and savor it. An unforgettable dining experience, omakase not only gives the guest a chance to taste something new, but it also gives the chef something new to discover as well. It’s a challenge to create the most scrumptious dishes with ingredients that are already at hand, and the techniques and skills that they have perfected over the years. Every chef is a creative individual, imbuing the food with their own experience and background, turning simple ingredients into an impressive spread. But of course, the art of omakase doesn’t apply everywhere. Large-scale restaurants such as chain restaurants or restaurants with limited ingredients do not accommodate omakase. Because of its delicate and precise nature and simple ingredients, most of the omakase restaurants in Tokyo are sushi restaurants. Other restaurants which offer fresh seafood or fresh vegetables are more likely to offer omakase, showcasing the absolute best of the season. Of course, there are few things to remember when dining out and choosing omakase. First, always sit near the chef. This will give you a better view of what they are doing. He might ask you about your taste preferences, and from there he will create a dish that’s made especially for your palate. Also, choosing a seat near the chef gives you that intimate personal experience which is at the heart of omakase. Second, it’s always a plus if you know how to speak their language. Japanese people are friendly and social interaction is always a good thing. Usually, the chef will strike up a conversation with his guests and if you do your best to speak in Japanese, even just a few simple Japanese phrases, he’ll be impressed. But of course, it’s also important to practice reading the air. And, if you’re going to take a photo, always ask for their permission first. Third, if you’re willing to become an adventurous eater, then the omakase experience is for you. After all, these chefs created these dishes, especially for you, straight from their own imaginations. Omakase may not be the best option for people who are picky eaters or have food allergies or dietary restrictions. Always keep in mind that in every dish given to you will be a surprise, and that surprise can either excite you or leave you wishing you’d just stuck with your regular order. Lastly, you have to pay the mysterious price. Considered a request for a magical, delicious meal, omakase is usually an exceptional value. Don’t be surprised when you receive a non-itemized stub bill with only the price printed on it. Because you have trusted the chef and his culinary talent, it’s only customary to honor his skills and reciprocate this by paying the value price. Omakase, for some people, can be a gamble. But this gamble usually pays off if you follow our tips above. Luckily, we have also curated a list of the best affordable omakase sushi restaurants in Tokyo that won’t burn a hole in your wallet. If you’re an adventurous eater, enjoy surprises, and want to taste something new, then the omakase experience is for you. It may appear hard to find restaurants which offer this deal, but there are over a hundred restaurants in Tokyo which practice the art of omakase. Some of them may be priced higher than expected, but you can always find inexpensive ones, so you can enjoy this personalized, intimate food experience. 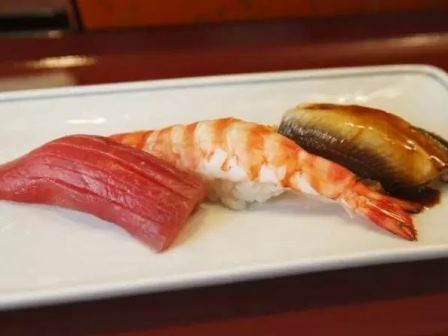 Bentenyama Miyako Sushi serves up some of the freshest traditional Edomae-zushi. This classic sushi dish has been a favorite among loyal patrons, and one of the best things about it is its reasonable price point. If you like to try something traditional that’s insanely delicious and affordable, this is the place for you. 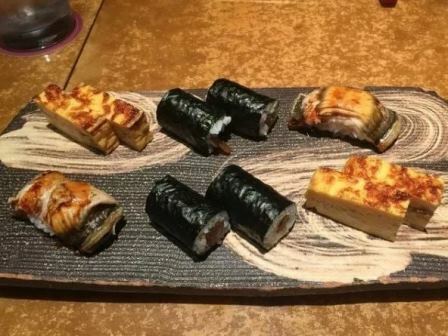 They also sell nigiri sushi sets which you’ll surely love. Reservations are not required but if you want to secure a spot, it’s highly recommended. A bit bigger than your usual sushi-ya, Seamon seats twenty people, and reservations are highly recommended because these seats fill fast. 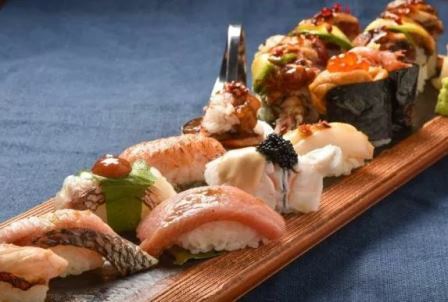 They serve superb sushi, and their sushi lunch set, which consists of nine pieces of sushi, soup, dessert, and three otsusmami (appetizers), is a great value for the cost. The wasabi is freshly-grated, none of that packaged and dyed fake wasabi you can get at kaitenzushi (conveyor belt sushi) restaurants or in supermarket bentos. The sushi is served elegantly on gorgeous ceramic dishware, a work of art within a work of art, and the restaurant has a relaxed vibe, so you can easily mingle with other people or have a quick chat with the chef. Yoshino Sushi Honten is another affordable sushi restaurant which serves great tasting and authentic sushi with a long history. Founded in 1879, Yoshino Sushi Honten was the first sushi restaurant to serve toro nigiri, super fatty tuna sushi which practically melts in the mouth. Their nigiri sushi set, which consists of eight pieces of sushi and one hosomaki (thin sushi roll), is a classic favorite among patrons. The restaurant has a working-class vibe and is a perfect place for a casual meal with family and friends. Be sure to book early because the restaurant gets extremely crowded during lunch and dinner. Sushidokoro Yamada may have the best cost performance when it comes to sushi omakase. With an intimate seating capacity of 8, no matter where you sit you’ll have a front row seat to view the chef at work. It’s always fully booked every night, so it’s best if you make an early reservation. They offer only one menu, but with one perfect option, you don’t need anything else. 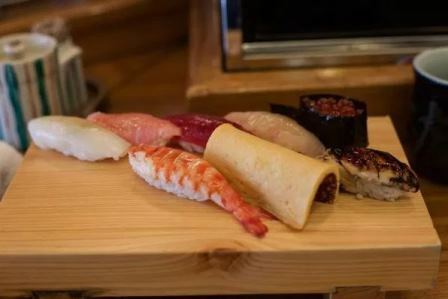 The sushi omakase, featuring 15 pieces of sushi, is priced at 10,000 yen, or roughly 90 U.S. dollars. 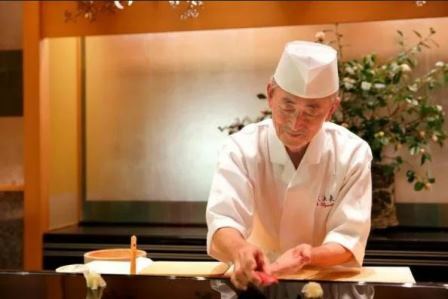 Their sushi is rich and soft, and Sushidokoro Yamada’s loyal patrons say that every sushi piece is beyond perfection. Kizushi is an old-school restaurant which serves mouthwatering sushi dishes prepared Edomae-style. This Tokyo restaurant is housed within a building which was originally lodging for geishas. They are most proud of their shari (rice) which a lot of guests find superb, with just hints of saltiness, sourness, and sweetness to it. 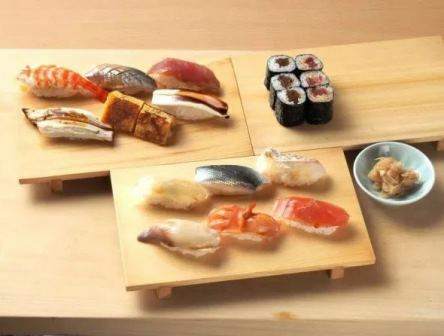 Their nigiri sushi set, which has 10 pieces of sushi, is one of the things people go back to because of its reasonable price that doesn’t skimp on flavor or quality. If you like sushi to be simple, traditional, and classy, Kizushi is the perfect restaurant for you. Next time you’re visiting Tokyo and want to go on a food adventure, just go to any of these affordable omakase sushi restaurants and say the magic word: omakase. Then, sit back and watch the magic happen!